This tutorial explain a simple example of the use of the Duplicate Layer, to create a snowflake. 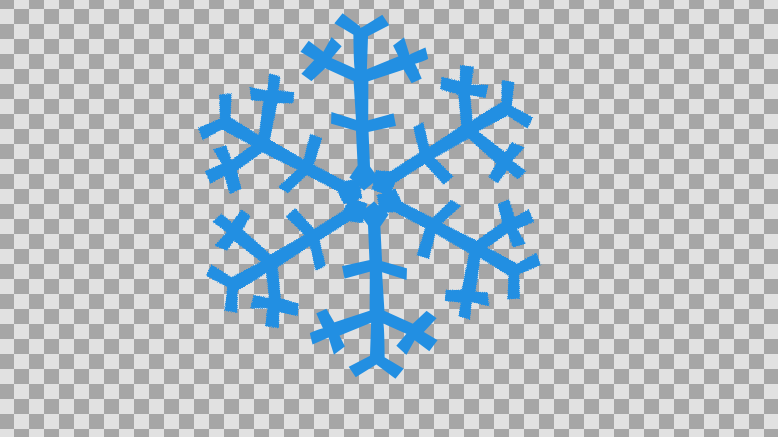 The 1st part is very simple : We'll create a single snowflake branch with the Spline Tool (or the Polygon Tool). Select the "Spline tool", and in the tools options, make sure that only "Create Region" is checked. (If you use the "Polygon tool", check either "Create Polygon Layer" or "Create Region", as you wish). To make a whole 6-branches snowflake, we need to make several copies of the branch, and rotate them. First, we need a Rotation layer. Right click on the image and select "<Layer> → New Layer → Transform → Rotate". 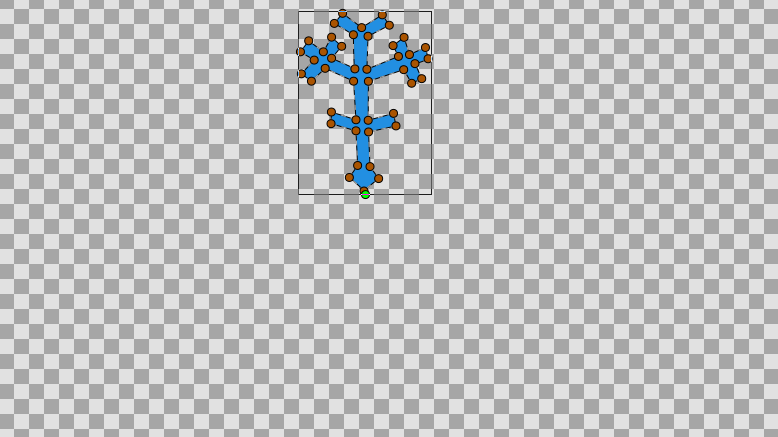 You should now have a Rotate Layer on top of the Branch layer. Then, we'll use the Duplicate Layer. Right click on the image and select "<Layer> → New Layer → Other → Duplicate". So far, no change is visible on our image, it's normal :). In the Layers Panel, make sure that the layers are in the following order : Duplicate on top, Rotate in the middle, and the "Branch" layer on the bottom. Select the Duplicate layer and look at the Parameters Panel. There's an "Index" value that is automatically exported. Its name is "Index 1". (It looks like "Index (Index 1)" in the panel). This value is made of 3 subparameters : "From", "To" and "Step". Those parameters tells how many times an object is duplicated. We need 6 branches so set the "To" parameter to 6 (keep "From" and "Step" to 1). Now move to the Library Panel, and select our "Index 1" value. (Unfold the "ValueBase Node" if necessary). In order to have 6 rotated branches, we need to link the duplication and the rotation together. Select the Rotate layer, and go back to the Parameters panel. 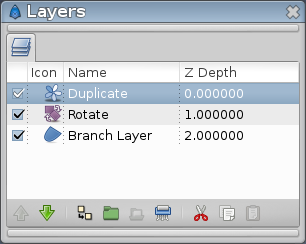 The Rotate layer has just 2 parameters: "Origin" and "Amount". The important one here is "Amount", it tells the angle of the rotation. Right click on "Amount" and select "<Convert> → Scale". Now Amount is made of 2 subparameters, "Link" (an angle) and "Scalar" (a real), the whole rotation being equal to Link * Scalar. Set the "Link" subparameter to 60 (that's the angle between the snowflake branches). Right click on the "Scalar" parameter and select "Connect". It will connect the previously selected "Index 1" value (in the Library panel) to the Scalar parameter. Thanks to the Duplicate, the Scalar parameter was set to values between 1 and 6 (From and To), by steps of 1 - instead of being set to a single value. So we had 5 rotations in addition to the original branche : One of 60° (Scalar * Link = 1 * 60°), another of 120° ( 2 * 60°), another of 180°, etc. And all of these rotations were displayed together. You can think of the Duplicate Layer as something allowing you to have a list of values, that you can link to a (real) parameter in the same way you could link a single value to a parameter. This page was last modified on 11 February 2016, at 04:54.